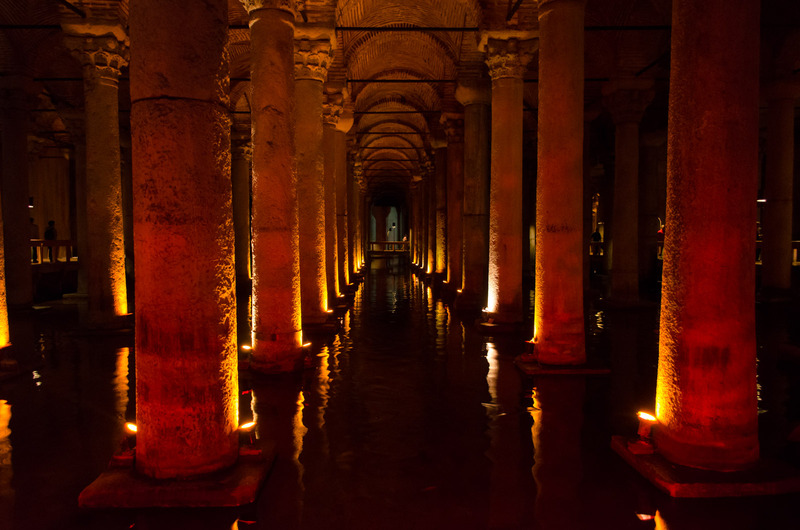 The Basilica Cistern is the largest of several hundred cisterns found under the Turkish city of Istanbul. 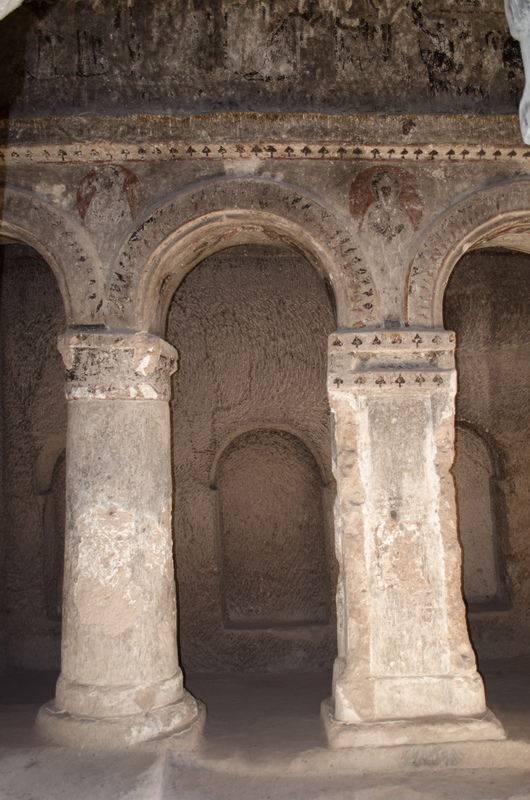 A large basilica stood in its place before being converted to a cistern by the early Romans. 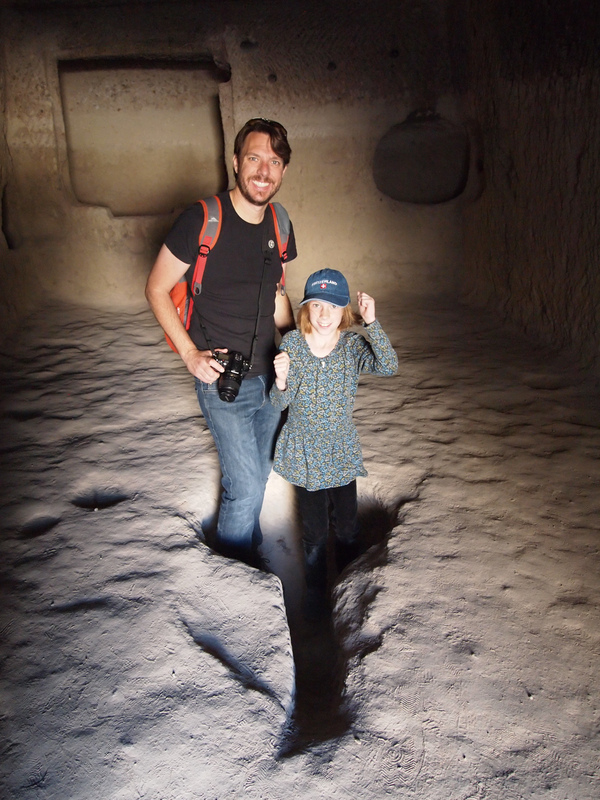 When we visited the underground site the first thing we thought of was Dan Brown’s new book, “Inferno.” If you have read the book, you will know exactly what I’m talking about, but I won’t ruin it for anyone who has not read it. After entering we noticed that the water inside the cistern has large fish swimming around. We happened to have some bread with us and had fun feeding them. 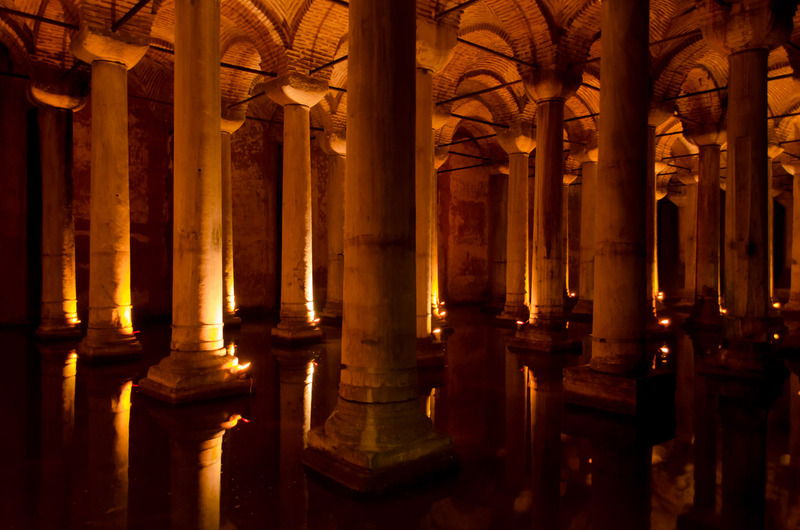 The cistern was actually our favorite amongst all the tourist sites we visited in Istanbul. After spending a year on the road and experiencing a variety of weather, from snow to scorching heat, I feel I now have a pretty good idea about what works, and what doesn’t for clothing. Before leaving for our around the world trip the biggest question was, “What do we bring?” Well, now I know. 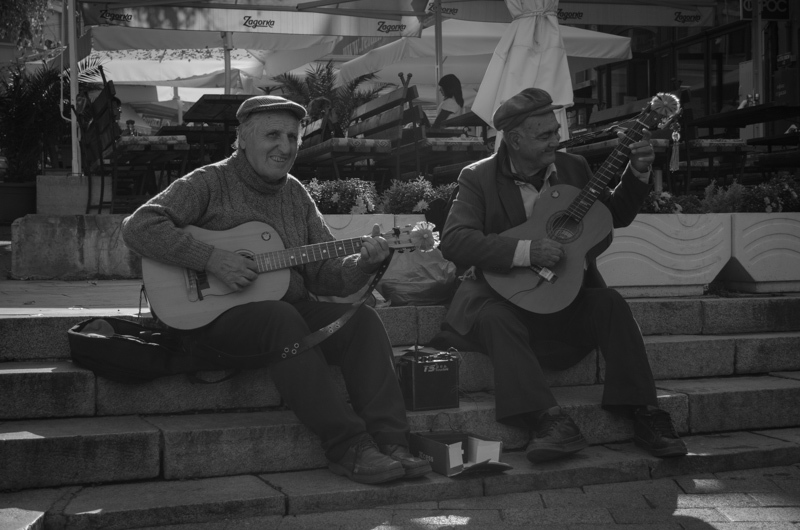 Every traveler seems to have his or her own opinion on what they think are the best options, but I now disagree with a lot of the information out there. You could spend $1000’s on the latest high tech clothing that promises to do all sorts of stuff. But heed my words; do not believe what you read! Most of the high tech clothing is overpriced garbage and is not needed. We spent so many hours at REI and other high tech backpacking stores trying on clothing and then going home and researching the brand/model for the stuff we were interested in before buying it, and then to find out once we got on the road that it fails to perform like it says or does not survive the repeated washings and conditions of long-term travel. If you are planning an extended trip or a round the world (RTW) trip like we are doing and you want to know what you should bring to survive 4-seasons, you would be surprised at how little you need. It is way too easy to over pack and that is the last thing you will want to do. We should know, as we did just that. We decided to bring just a few extra items of clothing, just in case, and have regretted it ever since. The biggest problem with starting with too much stuff is you feel bad about getting rid of unwanted items and you end up lugging them with you for far too long. The best thing you can do is start with the clothing that I list below, and if something wears out or you need an extra layer, buy it on the road. Do not worry about not being able to find clothing on the road. We have found most of the same name brands as in the United States, and some new ones that are actually better. The secret to surviving 4-seasons with the minimal amount of clothing is layering. The colder it gets, the more layers you add. The other thing I highly recommend is to stick with natural fabrics, like cotton and merino wool and to just wear the same clothes you wear at home. Not only is it more comfortable than the synthetic high performance clothing, but it will actually help you blend in better with the locals. Nothing screams “TOURIST” louder than looking like you are on an African safari in an urban setting. Do you dress in hiking boots and quick dry clothing with zip off convertible pants when you go to the mall? Then why start now! I know some of you may scoff at hearing me suggest wearing cotton and the old saying of “cotton kills” may come to mind. But seriously, how many people do you know who have died from wearing a cotton t-shirt and jeans? I think high performance clothing companies started that saying just to freak out the consumers! Like I said, dress how you would at home and you will thank me. Beware of any rain jacket that says “breathable” as it will eventually fail. We have even found that Goretex fails eventually. Best to save your money and pick up a lightweight non-breathable rain jacket shell or poncho. A good comfortable pair of shoes is very important, as you do a lot of walking when traveling. For 4 seasons you will need a good waterproof pair and we went with low cut waterproof hikers. 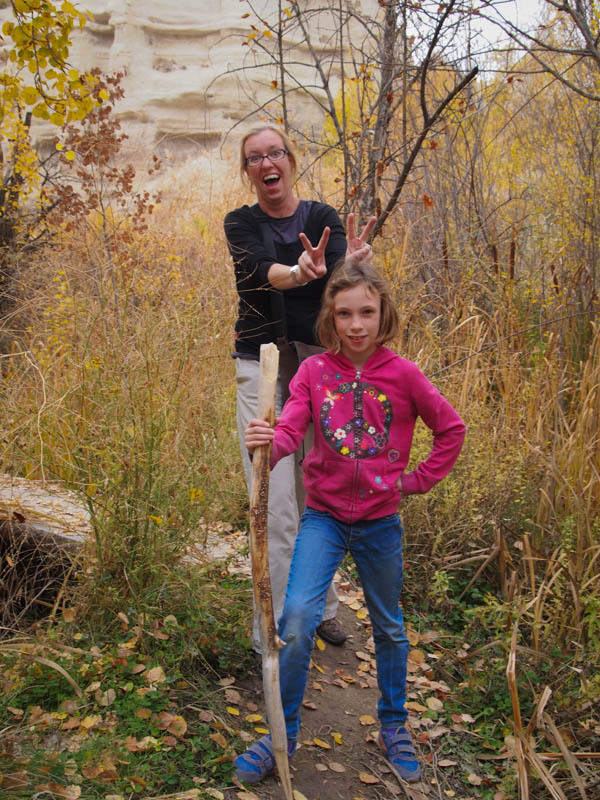 Hiking shoes are great for trail and urban settings, but they do mark you as a tourist. If you are not into hiking then a pair of leather casuals like Clarks are highly recommended. Not only are they comfortable and waterproof, but they are stylish and you will fit in with the locals. The other option is a good pair of sneakers. Sneakers are everywhere and are the shoe of choice in most places. Besides shoes, a pair of sandals is nice for warmer weather. We prefer KEEN Newports. One last bit of advice that we wish someone had told us before we left. Once you get everything that you plan on taking with you, pack it up into your luggage or backpack(s) and take it for a real life spin. Walk out of your house, walk down the street with it, take it on the local bus, walk up and down some hills, and then go somewhere with 6+ flights of stairs and walk up and down with your bags. This may sound excessive, but this is exactly what we go through just about every time we move to a new location. If we would have done this before leaving I guarantee that we would have found a way to lighten our bags! When you go, travel light!!!! 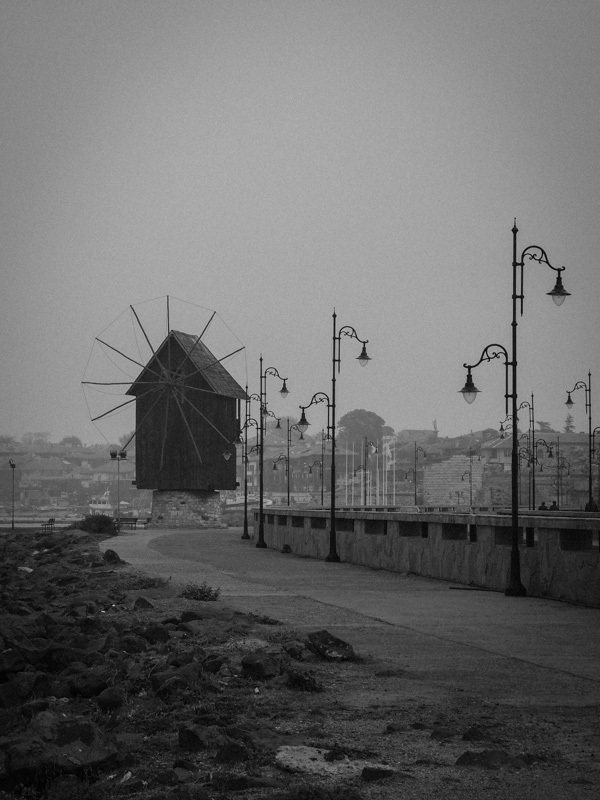 During the month of October we moved around quit a bit as we made our way across Eastern Europe to Istanbul, where the East meets West. 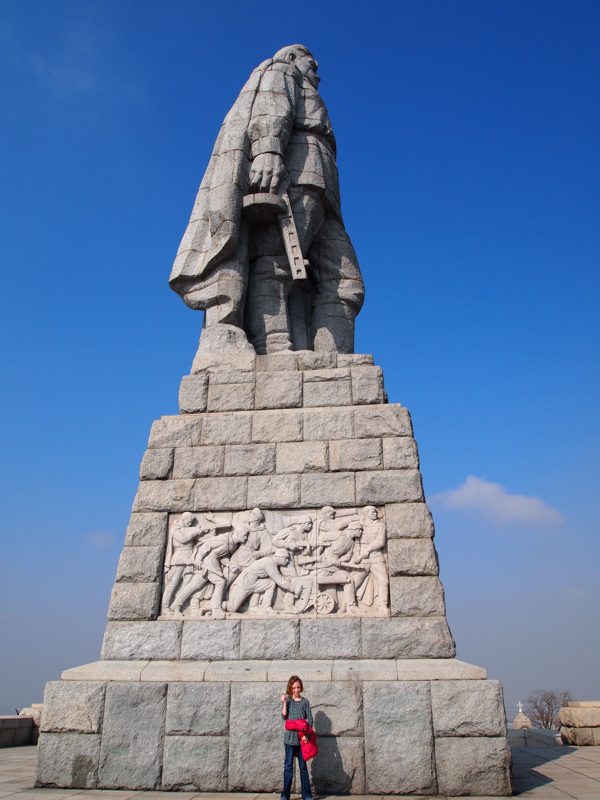 During the month we finished our stay in Brasov, spent a week in Bucharest, Romania, and then made our way to Bulgaria. 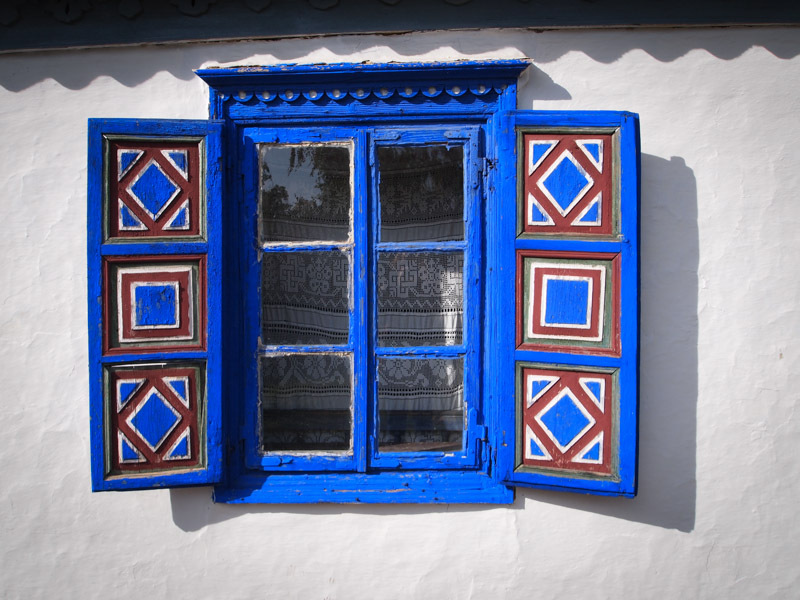 In Bulgaria we spent one night in Varna, a very quiet week in Sunny Beach, and 4 days in the beautiful city of Plovdiv. 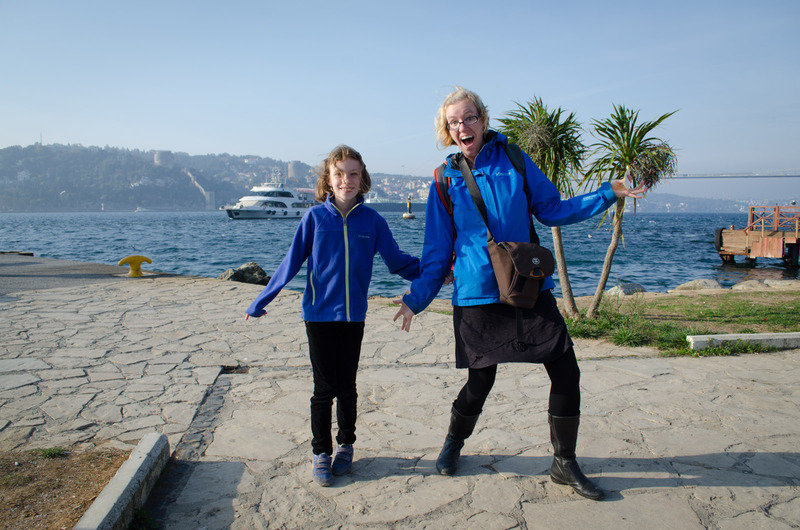 After that we made our way to the gigantic city of Istanbul, Turkey where we stepped onto the Asian Continent for the first time. October was a month of celebration, discovery, and of making new friends. 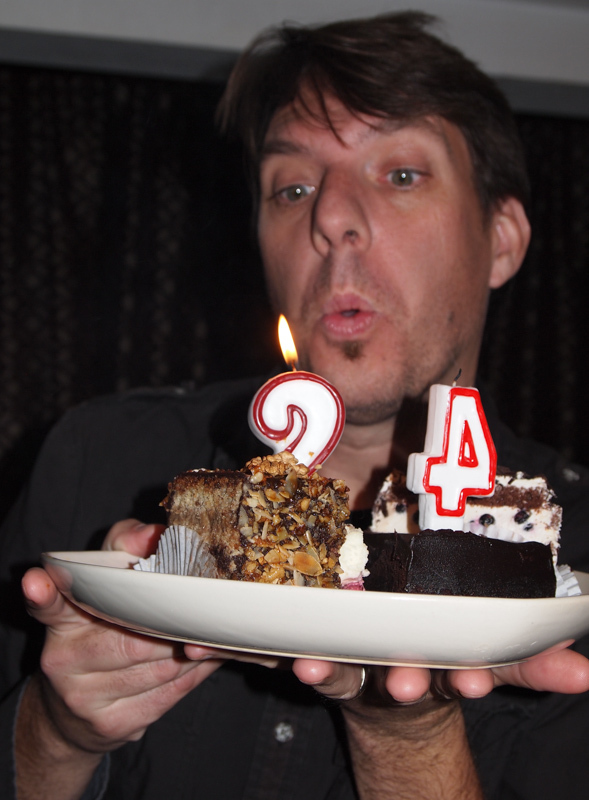 During the month of October, we celebrated Jason’s 42nd, oops I meant “24th” birthday, met up with some other traveling families, and made some friends along the way. 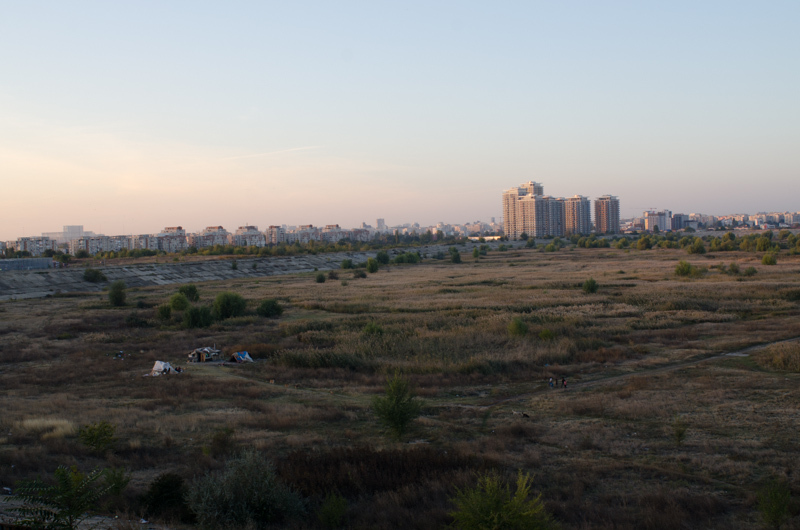 During our travels this month we also uncovered some gems, like Plovdiv, and some not so gems like Sunny Beach. I must say Plovdiv has now become one of my favorite cities we have visited thus far along with Krakow, Amsterdam, and Arles. 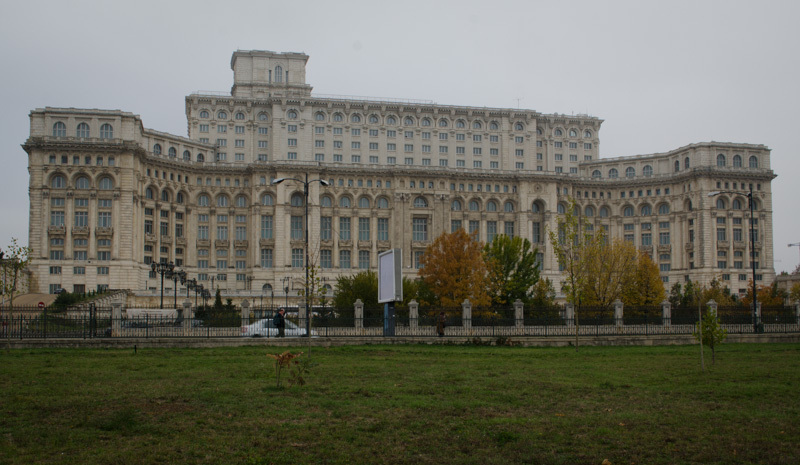 We found that Bucharest is not a particularly beautiful city with most the buildings being the big block Communist area type buildings. 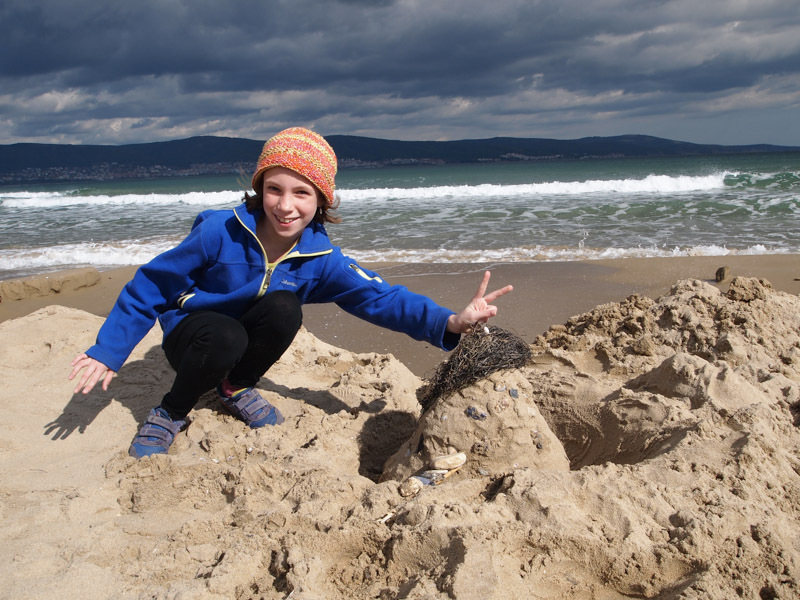 We discovered that no one goes to Sunny Beach in October! I have never seen a town so totally shut down in the off-season before. 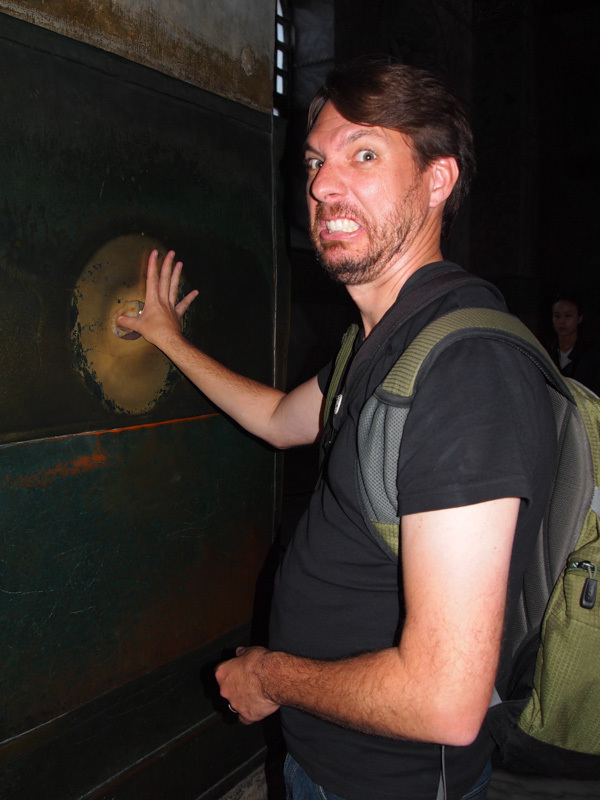 We also discovered how big Istanbul truly is and were a bit sticker shocked by the prices of Istanbul. So how did we do with our budget and moving around so much? I am excited to say we came out under budget for the second month in a row. Yay! Our total expenditures for the month of October were $2,549.96 or $82.26 per day or $27.42 per person per day! Not to shabby if I say so myself. During the month of October, 1 USD equaled approximately 3.25 Lei, 1.44 Lev, and 1.97 Turkish Lira. Our biggest expenditure for the month of October was lodging for a total of $967.49. Our apartment in Bucharest cost $270 for a week. We then spent one night in a hotel in Varna in transition between Bucharest and Sunny Beach for $34.72. Our apartment in Sunny Beach cost $227 for a week. 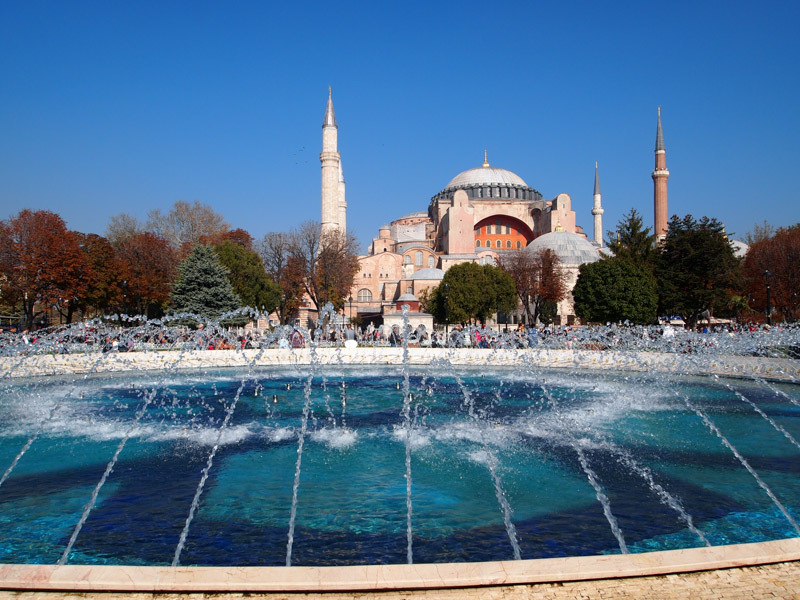 We then spent 3 nights in a hotel in Plovdiv for a total cost of $127.27 and our apartment in Istanbul cost $305.00. Under lodging, we also had the miscellaneous expense of laundry for $3.50. 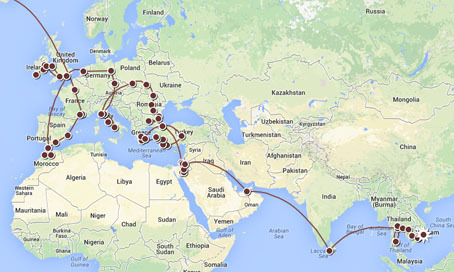 Our lodging expenses this month are about average for us since starting our around the world adventure. Our next biggest expenditure for the month of October was for food for a total cost of $900.67. We spent $537.51 on groceries, $349.53 for dinning out,and $13.63 under miscellaneous cost for a birthday cake for Jason. Sheepish grin here…I know, we spent way too much money on dining out. Part of the increased cost for eating out was due to staying in hotels for 4 nights during the month and not having access to a kitchen. 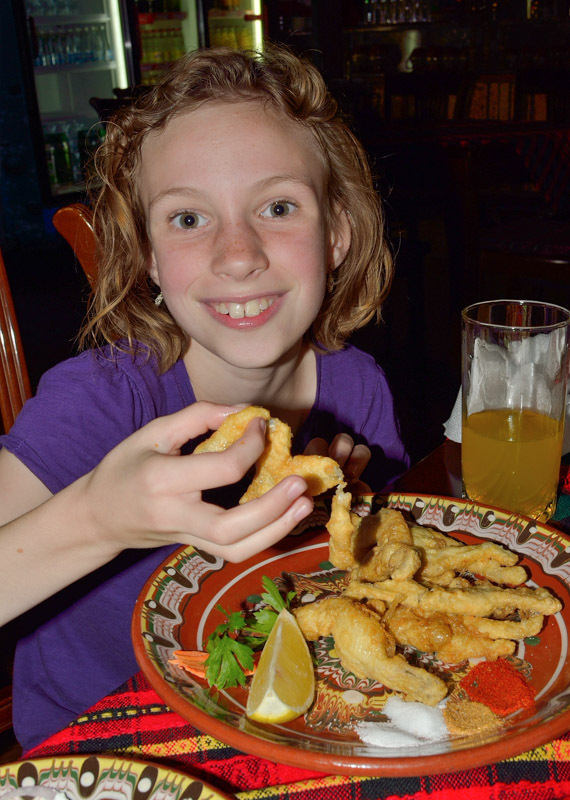 But admittedly, we also enjoyed some good food with our new friends. For the month of October our total expenditures for transportation was $381.15. We took a train from Brasov to Bucharest, which cost $39.42. 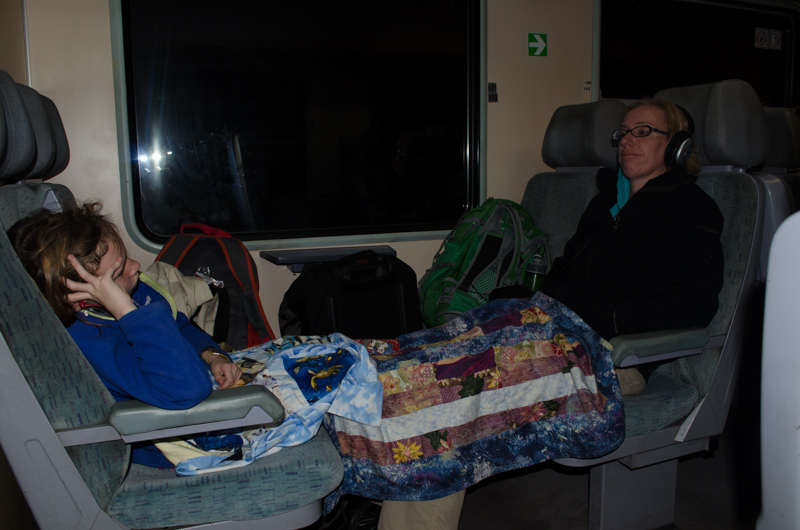 We then took a train from Bucharest to Varna, which cost $83.69. We took the bus from Varna to Sunny Beach for a total cost of $20.83 and then a bus from Sunny Beach to Plovdiv, which cost $46.15. We then took a bus from Plovdiv to Turkey, which cost us $75.52. I continue to be amazed by how nice the buses are in Europe. I know I have said this before, but the buses are like what the airlines used to be with stewards, free drinks, movies, and frequent stops. The best thing though…there is no weight restriction! I am now a convert of the bus, at least in Europe that is. Our total expenses for local transportation was $96.86, of which $21.83 was for a taxi. 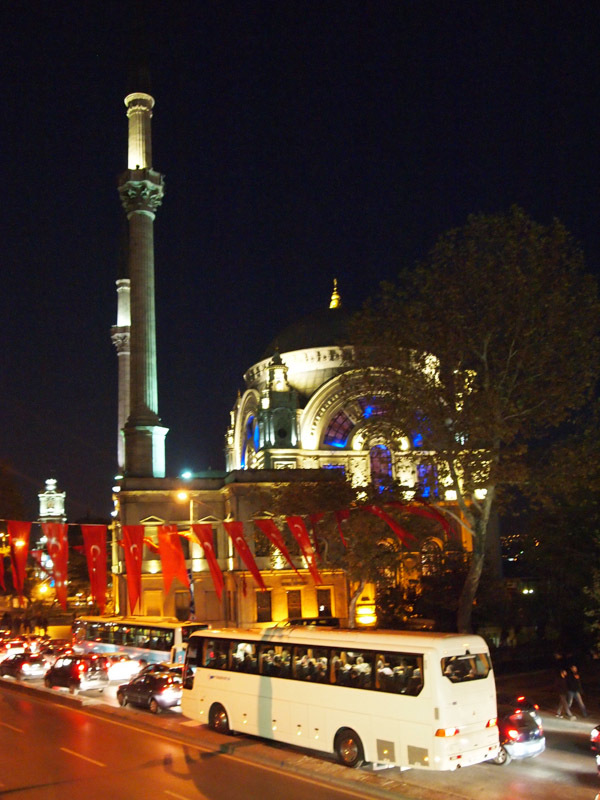 The taxi took us from Taksim Square to our apartment a 10 minute drive away. We were a little bit sticker shocked with the cost of a taxi in Istanbul, and for that matter the cost of most things in Istanbul. I think we got spoiled in Brasov by cheap taxis and mistakenly assumed that a taxi in Istanbul wouldn’t cost that much. We later found out that fuel in Turkey is very expensive. Under transportation cost, we also had the cost for fuel for $18.68 as we still had the rental car for the first couple days in October in Romania. Our total expenditures for entrance fees was $136. 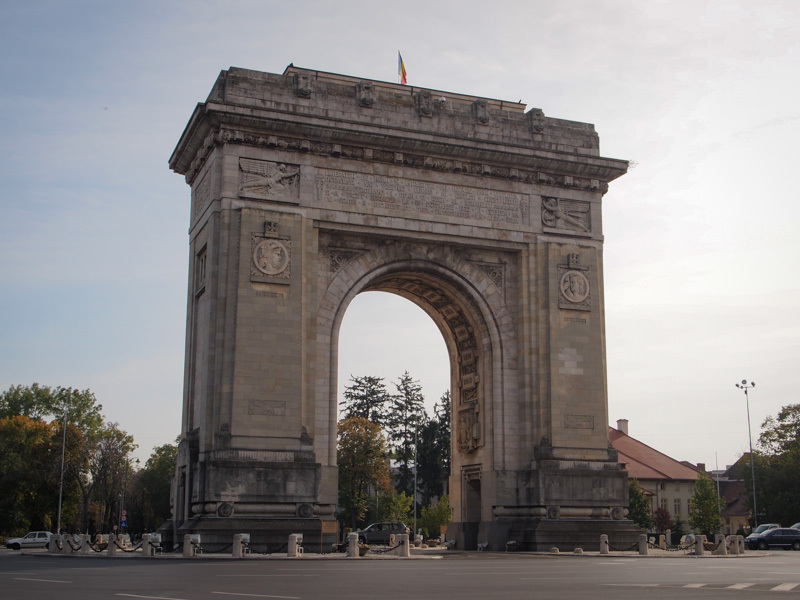 Entrance fees included seeing the Village Museum and Natural History Museum in Bucharest, the Roman Amphitheater, Ethnology, and Archeology museum in Plovdiv, Aya Sophia, the Cistern, and Tokpaki Palace in Istanbul. 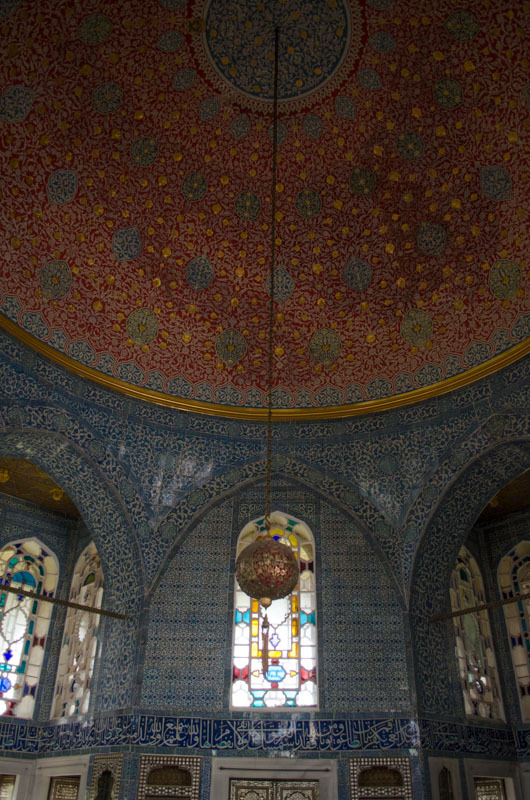 The one site I really wish we had not paid money to see was the Tokpaki Palace. 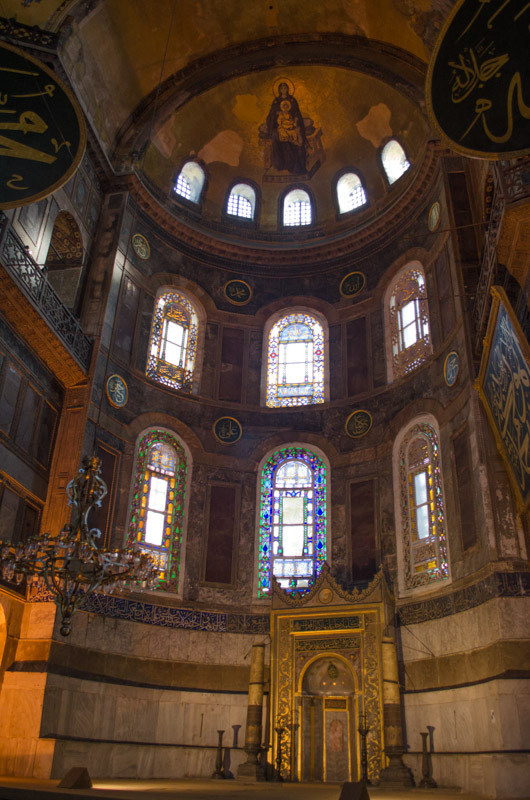 Although it is listed as must see site in Istanbul, we felt like it was just another palace. It was very expensive to get in costing us $47.74 and there was very little information provided, not even a map unless we paid additional money for the audio guide or guidebook. I felt like for the amount of money we paid they could have at least provided a map. Perhaps we have also reached castle burn out and just don’t marvel at palaces and castles anymore. 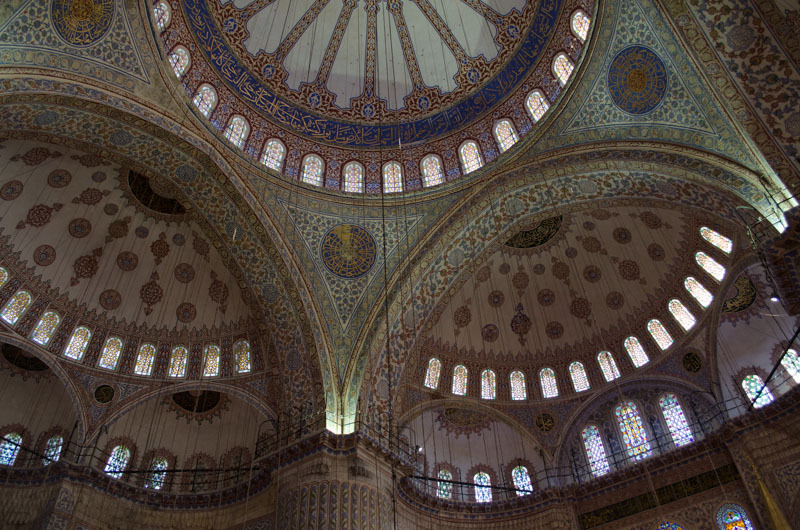 We spent $60 for our Turkey Visas. 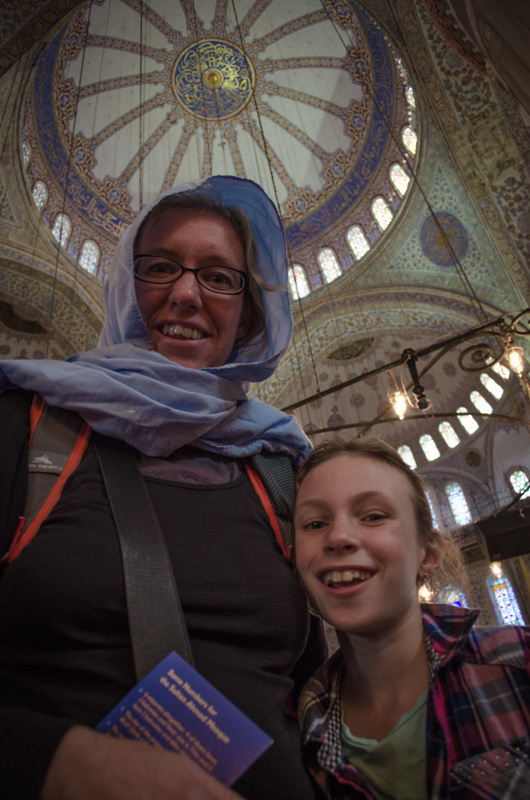 Turkey was the first time we had to apply for a visa since leaving on our around the world adventure. There are two options to obtain a visa for Turkey; either wait until you arrive and get it at the port of entry or get it online. We used the online system to obtain our visa and it worked beautifully. I am really glad that we did it before arriving, as when we arrived at the border it was not clear where we would have needed to go to obtain the visa. Our total expenditures under miscellaneous category were $54.85. Miscellaneous expenditures included meds, luggage storage at the Varna bus station, play area for Sydney, map of Istanbul, a shoeshine for Jason and I, and fees to use the toilets.Yes, outside the USA you pay a fee to pee! Our total expenditures for entertainment was $29.86. 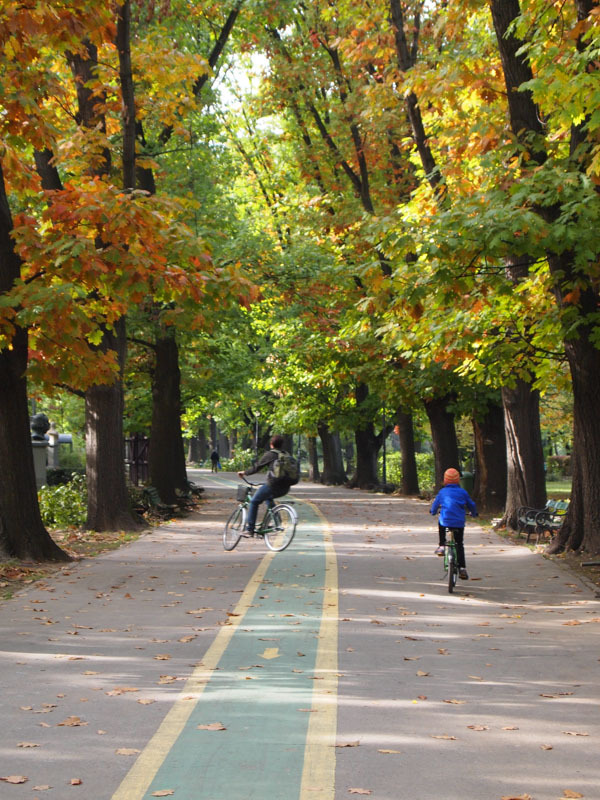 This included seeing the movie Percy Jackson, and the walking tours in Bucharest and Plovdiv. 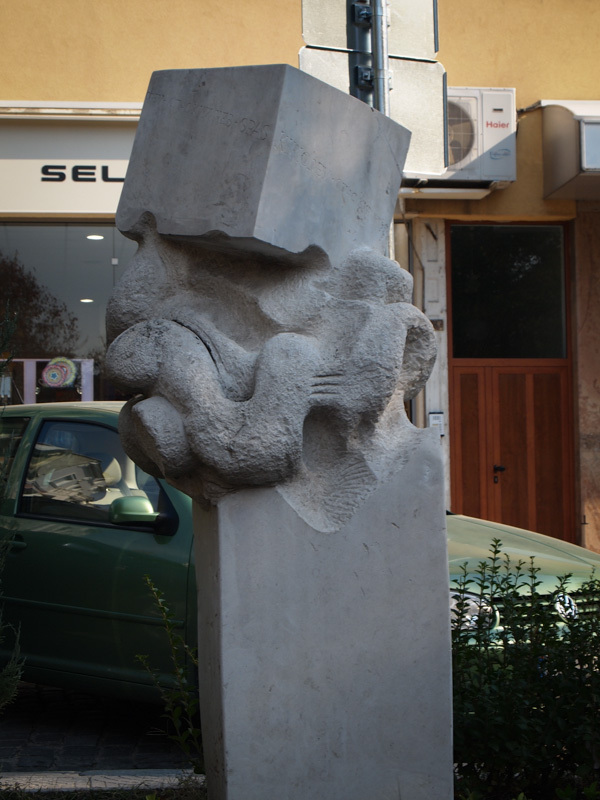 Art Bucharest Romania. 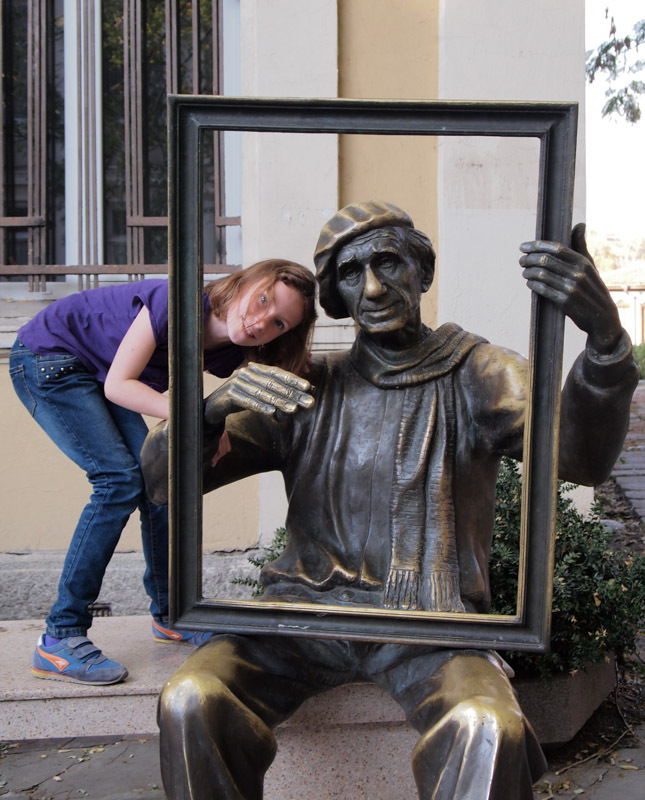 We found out from the walking tour that most of the art in Bucharest is disliked like this piece. Walking Tour of Plovdiv. Sydney sharing her wish with Miljo. Our total expenditures for communication were $19.94. Communication included post cards and stamps. Be prepared to pay more in Istanbul. Istanbul is not a cheap city. After spending time in cheaper countries we were a little sticker shocked by the prices in Istanbul. We found the prices to be on par with many other large European cities. Do a little more research about what a place is like on the off-season. We were caught off guard by how shut up Sunny Beach was during the off-season. If we had realized how shut up Sunny Beach is during the off-season, we would have probably stayed in Varna or another city in Bulgaria. 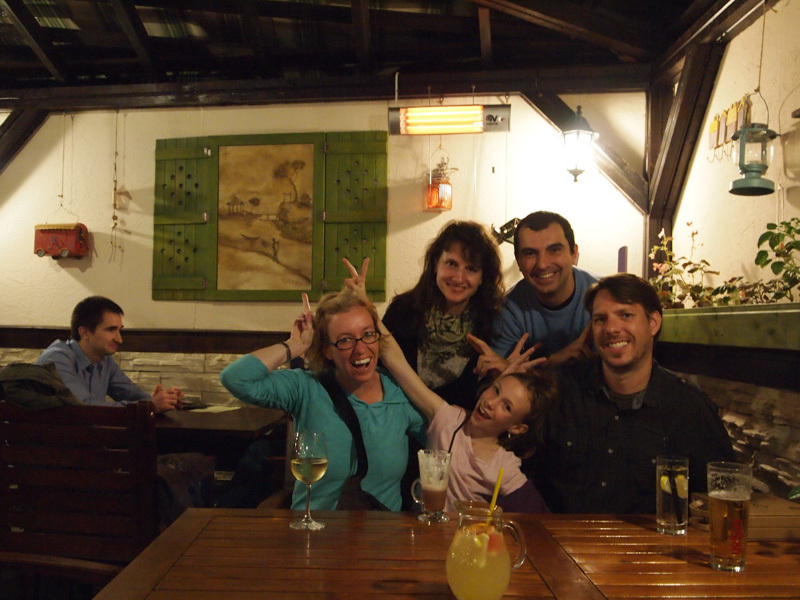 October was marked with celebrating Jason’s birthday, the pleasure of making new friends, good food, and exploring more of Romania, Bulgaria and Turkey. I continue to be surprised by how much Romania and Bulgaria have to offer and am glad that we decided to go overland from Poland. 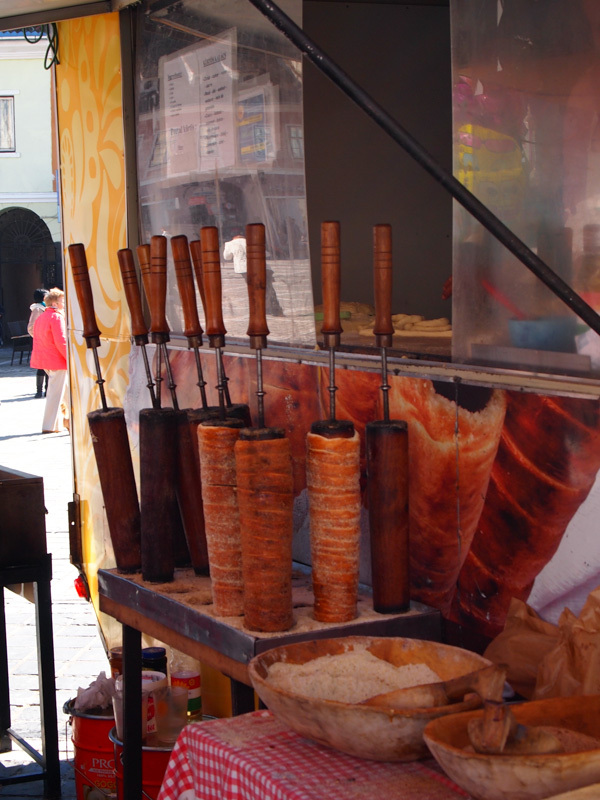 We especially loved our time in Plovdiv. 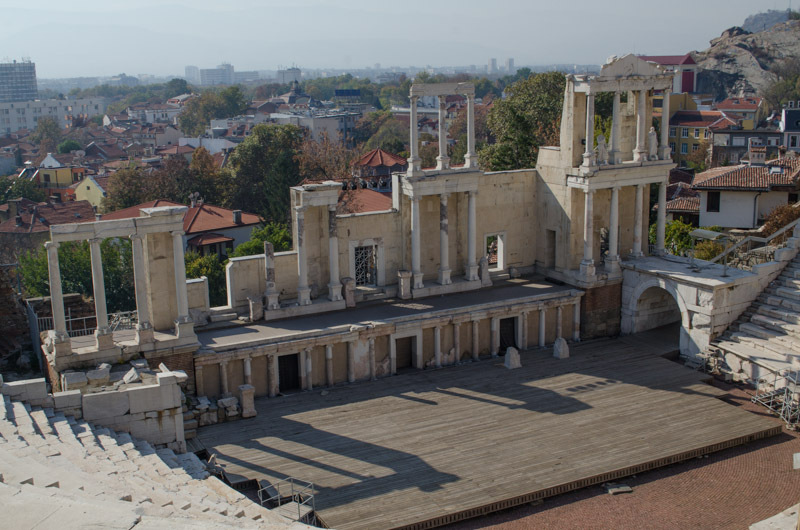 We found Plovdiv to be a vibrant city that is very family friendly, artsy, with tons of green spaces, and interesting history. I wish we could have stayed longer. A week ago, we were in Goreme, Turkey. Goreme was so cool. I thought I would tell you a little about it. First you might want to know what Goreme looks like. Goreme is like a Turkish mini version of New Mexico in the United States. 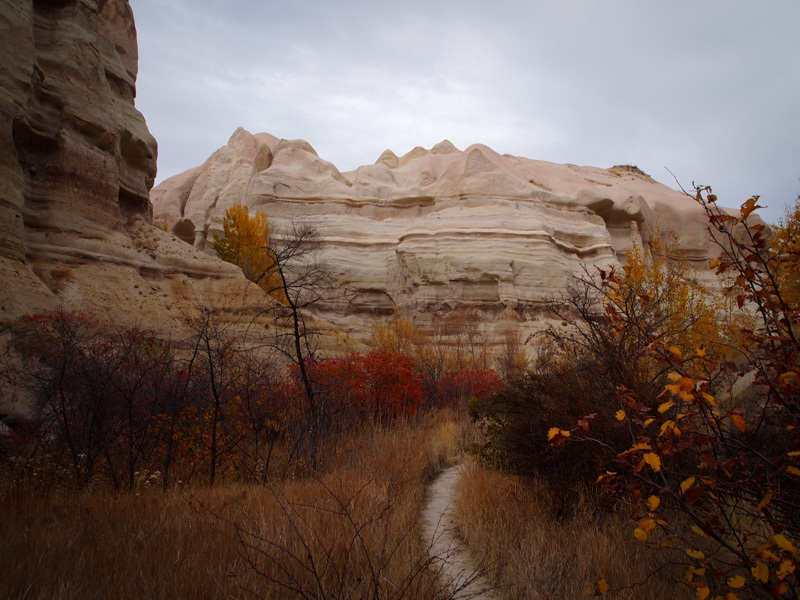 Goreme is deserty looking like New Mexico. 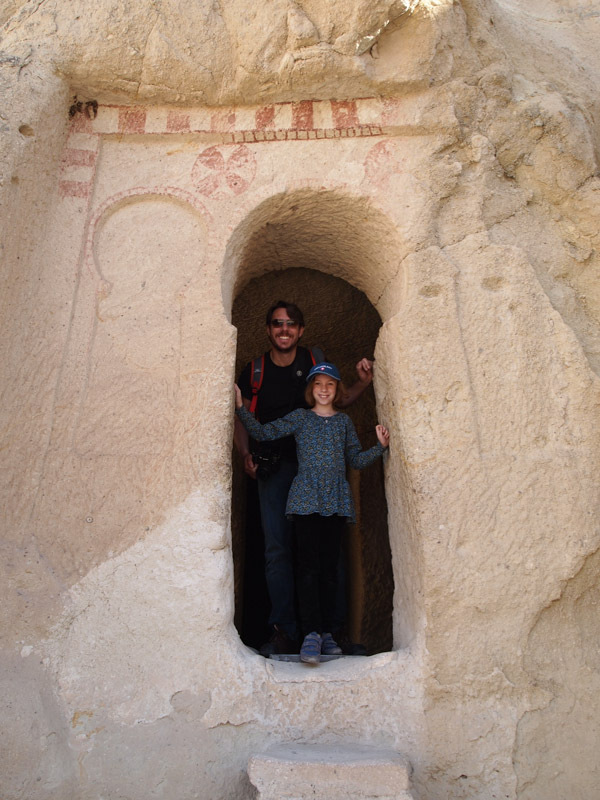 But the coolest part of Goreme, besides the desert, is the caves. 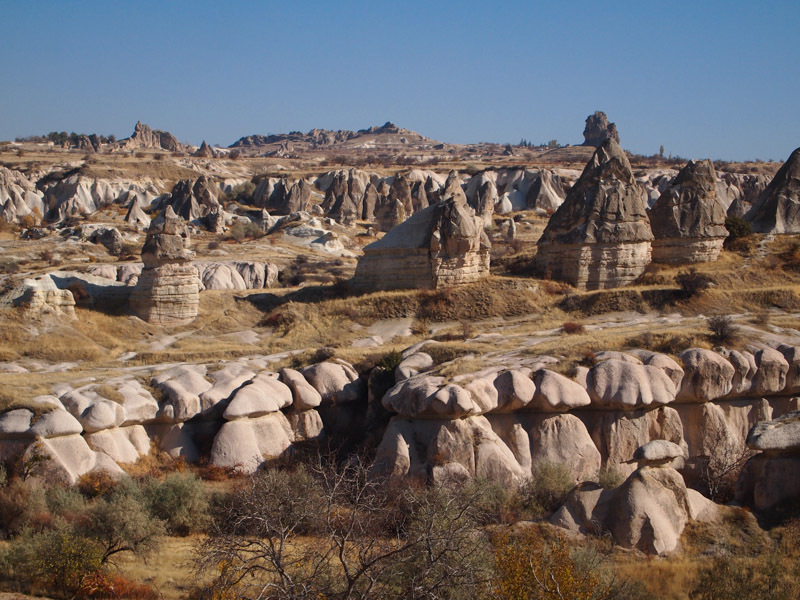 Before we start talking about Goreme, you might want to know that Goreme is in the Cappadocia region of Turkey. 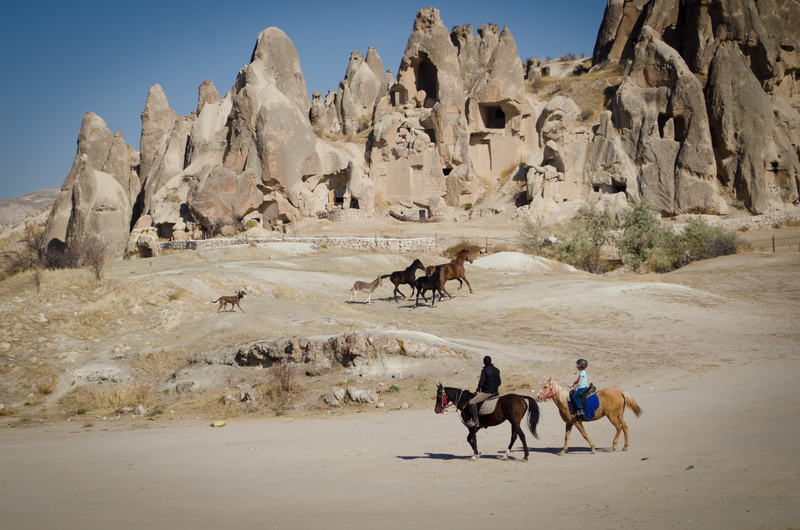 Cappadocia means, “Land of beautiful horses.” I kind of like that name. First let’s talk about the caves. 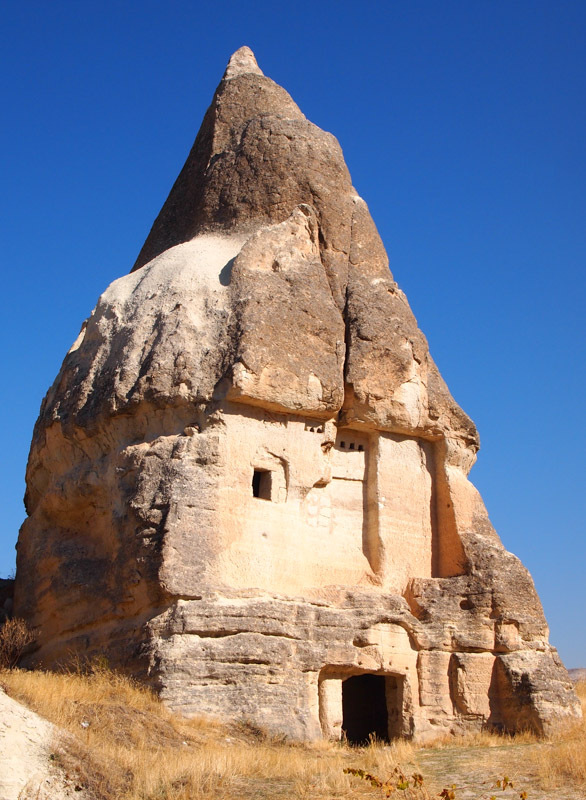 Years ago people settled in Cappadocia. But Goreme was in a desert. 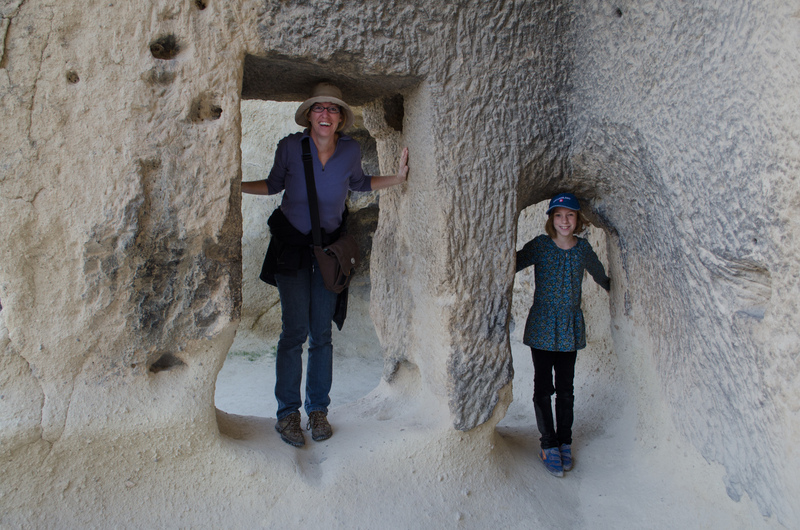 So no trees will grow there, But Goreme had lots of cliffs. The people decided to carve their houses into the cliffs. The caves keep you cool in the summer. Did you know this? 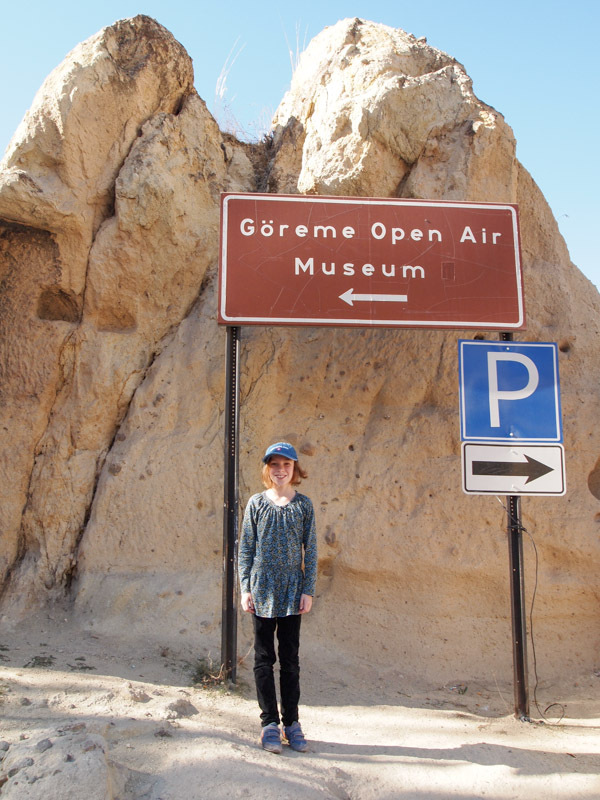 In Goreme there is a museum called the Open Air Museum. The museum has a bunch of caves that you can explore and it tells a little about the caves. 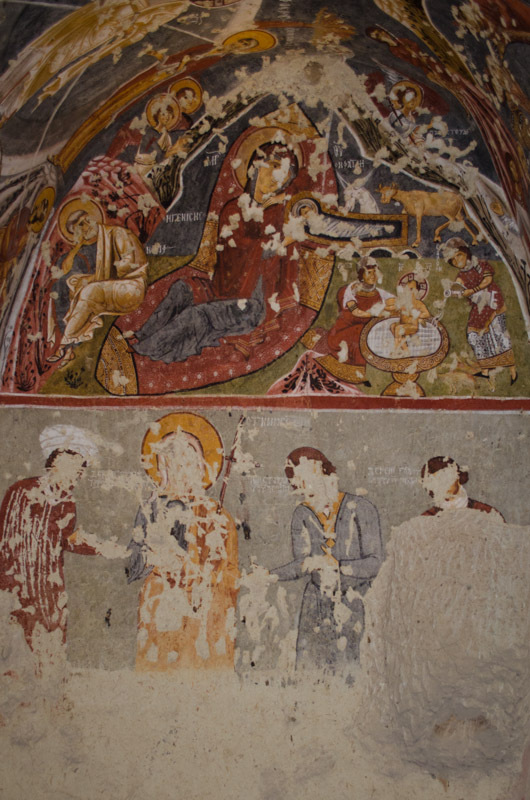 Mostly the museum has cave churches. A lot of the churches date back to the 10th ,11th , and 12th century. The museum has a few house caves. You really need to see the cave tables. The tables are soooooo cool. 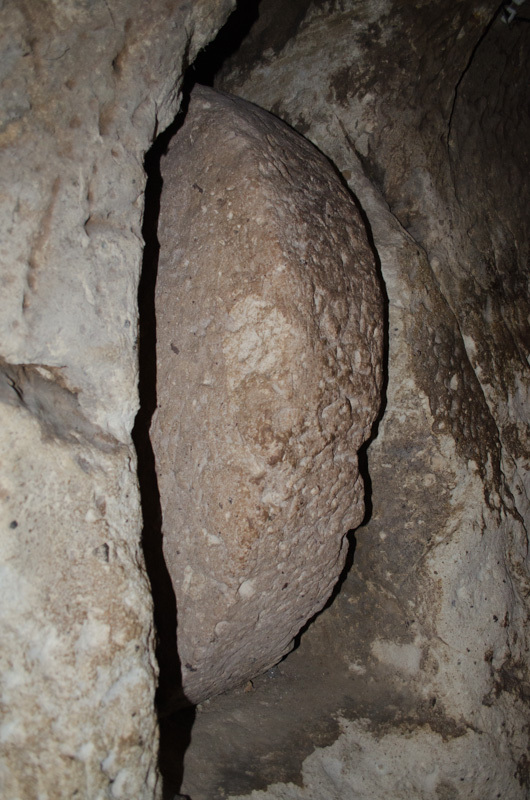 The tables are long and carved of out of the wall of the cave. Just imagine a King’s table except made of stone. You also need to see the oven and the stove and grape hole squisher. The grape hole squisher was used to make grape juice and wine. You also need to see the pigeon boxes. The pigeons were used for entertainment, fertilizer, and food. 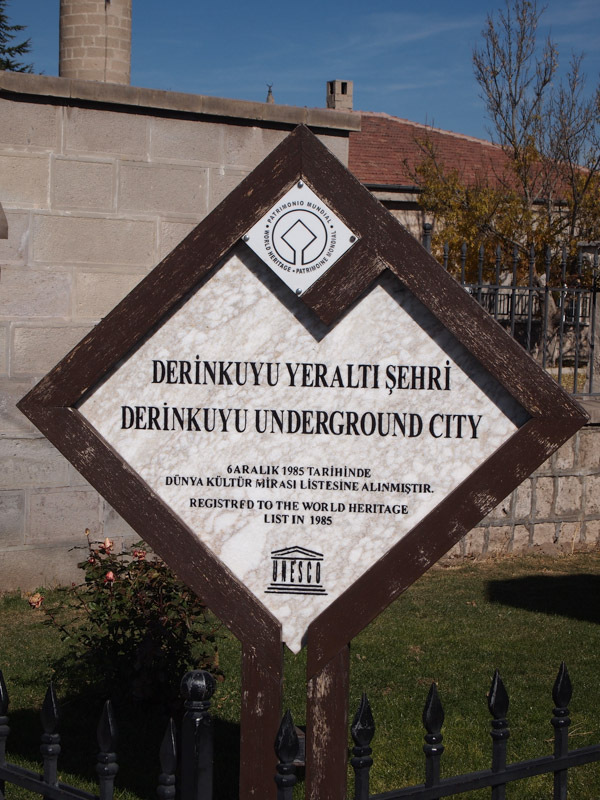 We saw the underground city of Derinkuyu. 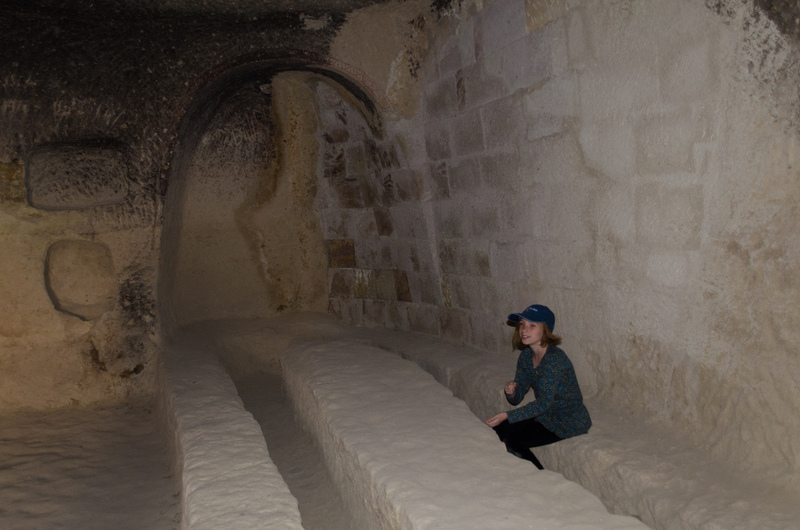 I am going to tell you about the underground city. It is like a city, but underground. Do you know how it works? I will tell you. In wartimes when an army came to attack the villagers hide underground. They would live there for months at a time. It must be pretty gloomy down there. It is always dark and sometimes dripping water. Here are some facts about the underground city. The underground city is multi level. It has sixteen levels, but you can only see 8 of the 16 levels. The city held 20,000 people. Now that is a lot of people! They had rooms for animals, churches, and homes. They even had wells for water. When you first enter the underground city you enter the kitchen first. 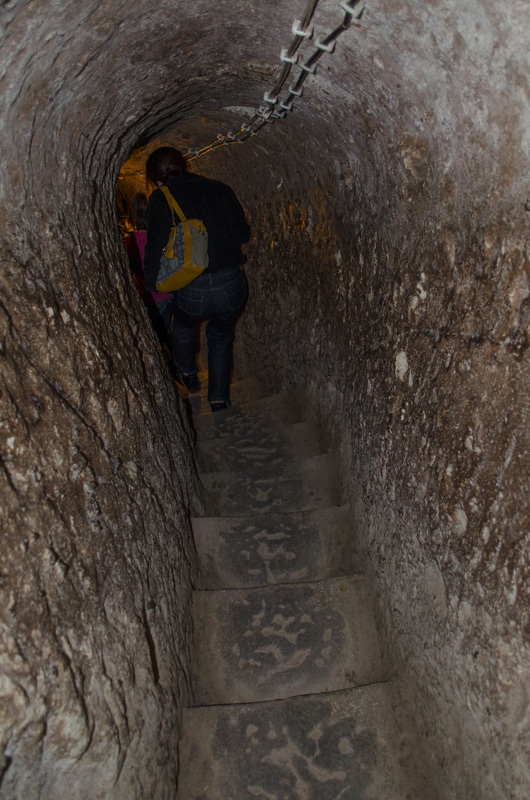 The passages in the underground city were skinny and low, but not for me. My parents had to hunch over and do a duck walk in order to get through the passage. The passages were tiny because it made it harder to attack. The Whirling Dervishes, now that is something you don’t see every day. Do you know what they are? Well I will tell you. It is part of there religion. When they are spinning they have one hand pointed to earth and the other pointed to god. 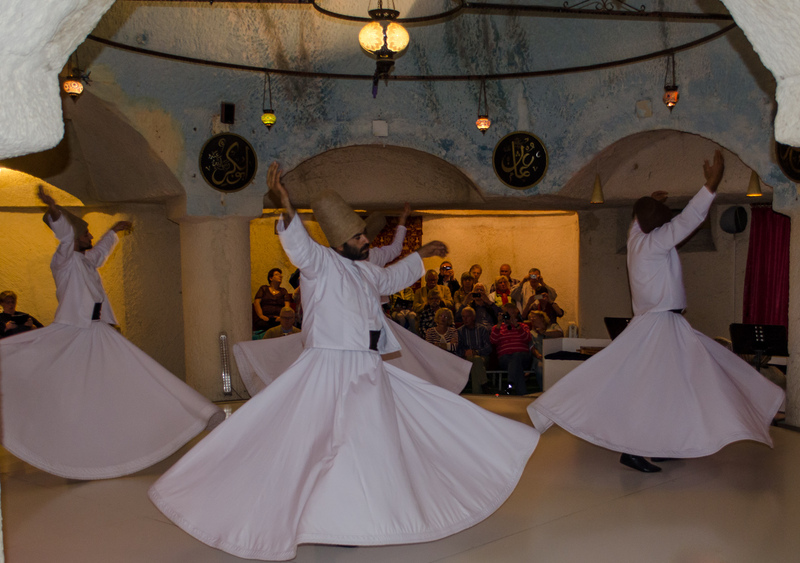 The Dervishes never get dizzy. I wish I could do that trick. If you see the Dervishes perform, I dare you not to get tired because it is very soothing and trance like. Kids aren’t allowed to see the performance, but I was. They will probably let your kid in if he or she is quiet. This is a good way to get your kid to be quiet for once. 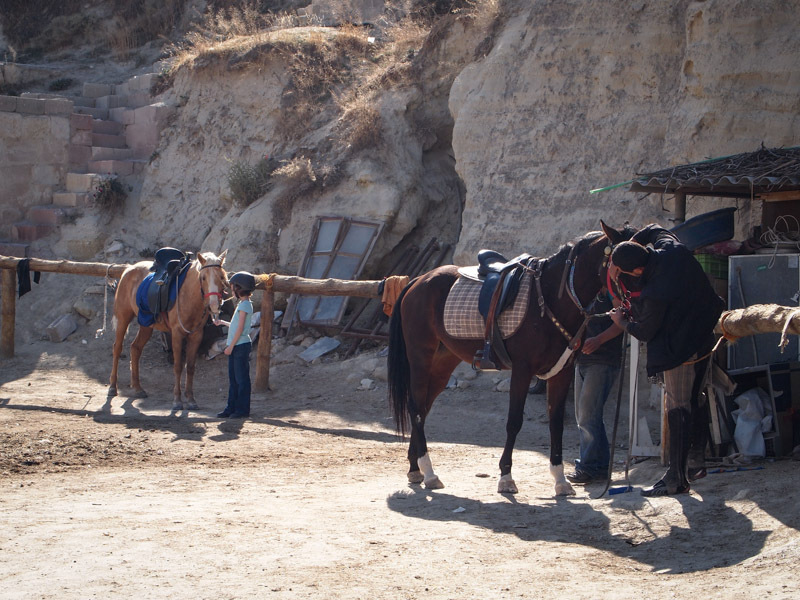 If you go to Goreme with kids then you should go horseback riding. I went horseback riding and I galloped for the first time. It was so fun. There are lots of horse farms in Goreme. One thing I wanted to do is go hot air balloon riding, but it cost too much. 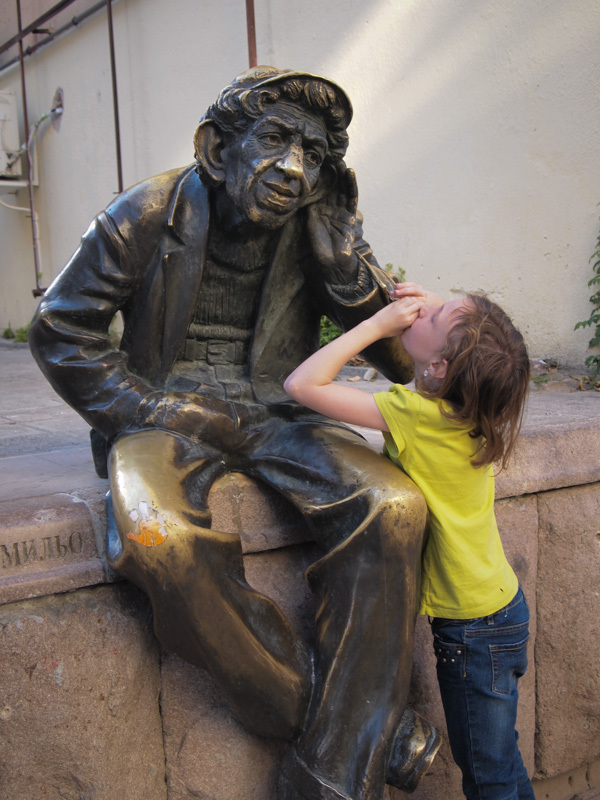 Now you know all about Goreme, Turkey. 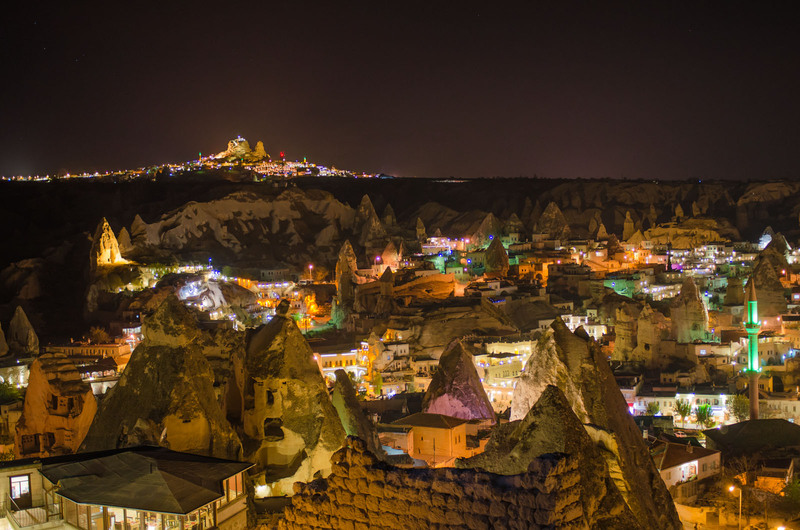 On our recent stay in Goreme, Turkey we could not help but notice how colorful the town became at night. The fairy chimneys and mosque minarets are lit up in various colors and it feels like you are in a very magical place. With a tripod and camera gear in a backpack, we hiked up to a bluff that overlooks the city for some long exposure night photography fun. Here is the result!